On Monday, some of the District’s biggest rap names will perform at the 9:30 Club to raise money for charities providing earthquake relief in Haiti—but one of those organizations, Yéle Haiti, has an inconsistent history of reporting its finances to the IRS and has made a series of dubious payments to companies associated with its founder, the Haitian-born performer Wyclef Jean. One organizer of the concert, Yodit Gebreyes, was surprised to learn of the reports of the company’s history, but stressed that the show will go on—and, for the time being, plans to donate proceeds to Yéle Haiti will not change. The Smoking Gun reports today that the Wyclef Jean Foundation, which conducts business as the Yele Haiti Foundation, only began filing tax returns last August—for the years 2005, 2006, and 2007—despite being incorporated and active for 12 years. In 2006 and 2007, the Smoking Gun reports, the charity paid $31,000 a year in rent to Platinum Sound, a recording studio in Manhattan that Jean owns with Jerry Duplessis, who is a board member of the foundation along with Jean. Jean also received $100,000 from the foundation for “musical performance services” at a fundraiser. And in 2006, the foundation paid $250,000 for “TV airtime and production services” to Telemax, S.A., which is a for-profit company that Jean and Duplessis own “a controlling interest” in. According to the Christian Science Monitor, Yéle put nearly a quarter of its revenues to operating and fundraising costs in 2006 and 2007. Gebreyes, a graduate student at Georgetown who runs the nightlife and marketing Web site TalkofDC.com, said the group organizing the show, DMV Helps Haiti, is taking the Smoking Gun report seriously. “Of course with allegations like these, we definitely take them to heart,” she said, noting the good reputation of the other charity the concert will give money to, Partners in Health. Wyclef, who was born in Croix-des-Bouquets, Haiti, is currently in the island nation helping with relief efforts. A spokesperson from the 9:30 Club, who had not read the Smoking Gun report, said the venue was approached this week by DMV Helps Haiti and quickly agreed to stage the concert. “For us it was a natural thing to say yes to,” said Audrey Schaefer. “We were dark on Monday. 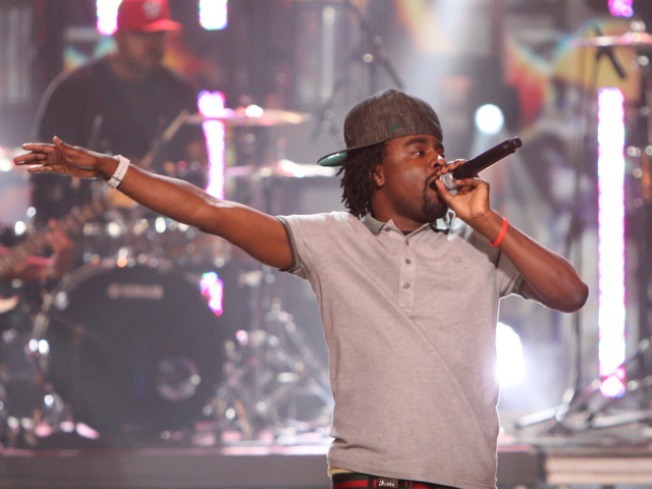 [Headliner] Wale was available on Monday.” She stressed that the venue will donate 100 percent of the evening’s proceeds to the two charities, that the club’s employees are donating their wages for the night, and that the ticketing service, Ticketfly, will wave its usual percentage. Andrew Marx, the communications director of Partners in Health, said concertgoers should feel confident giving money to that charity. “We’ve has really been in a position to provide effective relief. We’ve been working in Haiti for 25 years, and we have 10 functioning hospitals north of the city that were not damaged.” Although the closest hospital Partners in Health runs is about two hours north of Port-au-Prince, the organization has been treating victims since the earthquake hit, and is currently preparing a team to send into the capital city.